Tomorrow is Valentine’s Day—a day of romance, togetherness and most importantly, love. Soon the air will be filled with the fresh scent of roses and delicious chocolate. But what does all that have to do with your business? In the humdrum life of the business world, it’s easy to get bogged down in things to be done, things being done and especially things that aren’t done yet. Sometimes we even forget why we got started in the first place. This Valentine’s Day, don’t let yourself forget the love you had in the beginning. 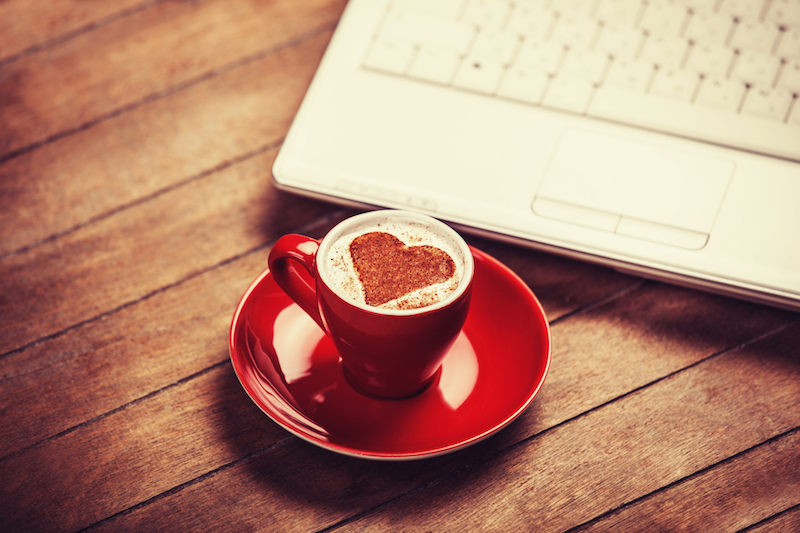 Today, we’re going to talk about how you can fall in love with your business again. If you find yourself feeling stuck in the business life, it may be time to change up the circle of people you surround yourself with. Networking is an important part during any stage of a small business, but it can be especially vital when your business has hit a bit of a plateau. Try finding opportunities to meet, network and engage with new consumers and potential business partners. Interacting with a new group of energetic and motivated business professionals can give you just the right push to find your passion for your profession again. Work on your business; not just in. You’ve started up your small business, things took a running leap and now you’re not sure where to go from here. When you’re in the middle of running things, don’t forget to also focus on your business—remembering that first initial leap. Take time to plan big-picture items for your business. Where do you hope to be in 10 years? What new products do you plan to offer? What goals do you have to lead to success? When you step outside the nitty gritty work of the business and look at the bigger roadmap every now and then, you’ll feel that same passion and excitement you had at the beginning. We get it. You care a lot about your business and want it to succeed, therefore only you can handle the majority of tasks. But as your business grows, it’s important to delegate lesser tasks to others in the company. Don’t worry, they can handle it. Don’t get bogged down in mundane responsibilities, but distribute them out among other employees. Not only will this make your day-to-day tasks easier, but it will give you more time to focus on the grander company vision, furthering your passion and giving all employees something to get behind. Focus on an attitude of gratitude. As your business grows, always remember where it came from. Fall in love with your mission again by focusing on an attitude of gratitude. Gratitude for the hard work your employees put in, gratitude for the opportunities you received and gratitude for the growth you’ve experienced. When you focus on an attitude of gratitude, you embrace a more positive side of the business and marketing world. You feel humbled by where you came from, and therefore more driven to find success in where you’re going. This Valentine’s Day, celebrate your business by falling in love with it again. Don’t get bogged down in some of the mundane work, but reignite the passion for your mission. When you’re in love with your work, customers fall in love with your purpose, and your business will continue to grow long after Valentine’s Day is gone.